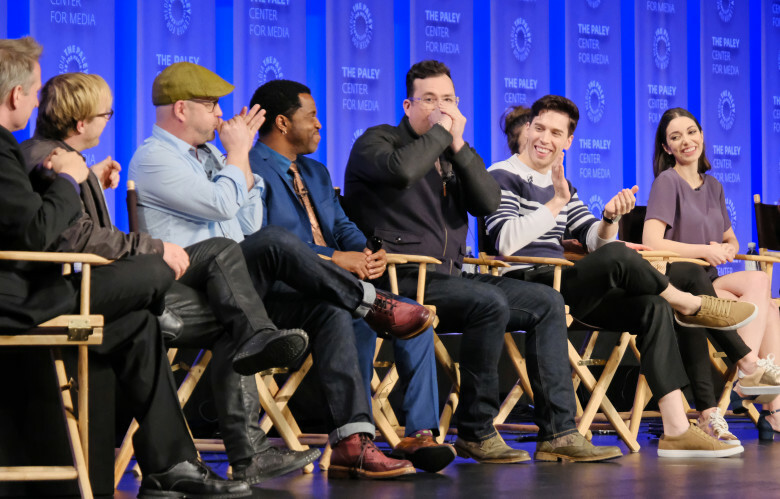 "Orphan Black" returns this June for one final season, and I had the chance to interview the cast one last time on stage at this year's PaleyFest. Fans were given a bonus treat: An early screening of the show's Season 5 premiere. In attendance were Emmy winner Tatiana Maslany, Jordan Gavaris, Kristian Bruun, Kevin Hanchard, Maria Doyle Kennedy, Ari Millen, Josh Vokey, Maslany’s acting double Kathryn Alexandre and co-creators and executive producers Graeme Manson and John Fawcett. The panelists had literally finished their final day of shooting the morning before, and were therefore exhausted and not just a little emotional. Thrilled to be together again after wrapping, the cast and producers were game to share behind-the-scenes stories, their thoughts about being on the show and tiny hints of what’s to come. Cast and Producers’ Favorite Clones: Rachel (1), Sarah (2), Katja Obinger (1), Helena (2), Crystal (1), MK (1), Cosima (2). Maslany couldn’t pick just one, so she picked Allison, Helena and Rachel.